Get ground handling services at Pune Airport, India at the most competitive price. Send a query. Aviation Services India through its tieups with best ground handling companies makes available ground handling services at Pune Airport (VAPO/PNQ), India to all Private Jets, International and Domestic airlines. Contact us for best ground handling companies, at Pune Airport (VAPO/PNQ), India. Pune is the seventh-most populous city in India and the second largest in the state of Maharashtra. It was known as Punyanagari in earlier times. It is situated 560 metres above sea level on the Deccan plateau, on the right bank of the Mutha river. 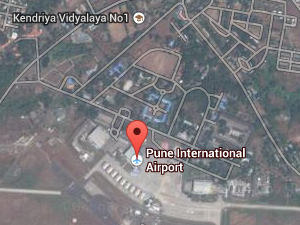 Get ground handling services at Pune Airport (VAPO/PNQ), India. Send a query.